It seems like everyone is kicking off their holiday celebrations this weekend! You can shop at Market Noel, and check out a parade at The Summit (with fireworks!). There will also be plenty of other great events like a Harry Potter Trivia Night that’s sure to be more competitive than the Tri-Wizard Cup! Check out the list below! Market Noel is Birmingham’s premier and most exclusive shopping event! This an annual three-day shopping fundraiser showcases more than 100 regional and national vendors, perfect for shoppers seeking the latest in fashion and home décor, jewelry, holiday items, children’s clothes, gourmet food, art and more. Proceeds support the Junior League of Birmingham's 38 community projects! For those who want an early start, you can purchase tickets to “Preview Noel.” This exclusive night includes swag bags, heavy hors d'oeuvers, a beer garden, PLUS a General Admission ticket! Enjoy a day of FREE ADMISSION! The 26th birthday for the Birmingham Civil Rights Institute is coming up and they are celebrating with the ultimate #THROWBACKTHURSDAY birthday party! Come out and celebrate 26 years of enlightening generations about civil and human rights. Enjoy a day of FREE admission to BCRI and a blast from the past back to when it all begin with activities including live music, breakdancing, a 90’s costume contest, trivia, and of course...birthday cake! Break out your favorite 90’s gear and bust a move! Calling all muggles! 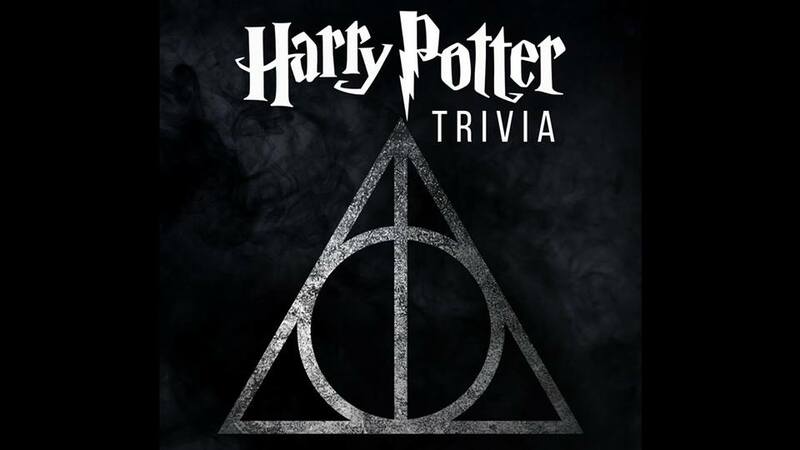 Put your Harry Potter knowledge to the test at this month’s Hoover Library Trivia Night! These fill up fast, so hop on your Nimbus and don’t be late! We are sure that this will be super competitive, so bring your A-game! Goulash Comedy is excited to bring you another amazing mic at The Crestwood Tavern! Come out to enjoy a night of free comedy with Birmingham's best comics! We always have a fun time at these shows especially when we go with a group of friends! A parade, fireworks, and Santa! What more could you want?! Lights Up at The Summit is an annual kick-off to the holiday season! We'll be sitting with friends and family listening to live music by Tragic City, watching the parade and fireworks, then ending the evening with The Summit all lit up for the holidays! Be sure to stop by the American Family Care Photobooth, located near the Kendra Scott Terrace, for free photobooth fun! Santa will be there pre-parade (5-6 PM) and post parade/fireworks (7-8 PM.) Photos will be on a first-come, first-served basis. The galleries and artist studios in the 120th Block of Richard Arrington Jr. Blvd. South invite you to celebrate the "Studio Arts District" of Birmingham with a Block Party & Collective Open House! Come browse the creative spaces and view new works by all the artists on the block, including painting, photography, fiber, metal and sculpture. There will be live music, a DJ, Food Trucks, coffee, beer, and more! Shop local and enjoy your neighborhood restaurants and shops in Forest Park! Restaurants will have specials, shops and galleries will be open late (5-8 pm), catch the shows you may miss during the day, shop for gifts while enjoying a refreshment. Enjoy the social scene of Forest Park after hours. TOUR DE LOO: during the Third Friday events, the Forest Park merchants' loos are transformed into art installations by local artists. Kitschmas at Naked Art Gallery will be kicking off during this event as well! Come join in the merriment as the owners of the shops of Morris Ave. host their annual open house! There will be extended hours, drink specials, and holiday deals! Leading up to the event, we are giving away a GIANT Stendig 2019 Calendar! Click the link below to enter on our IG page! 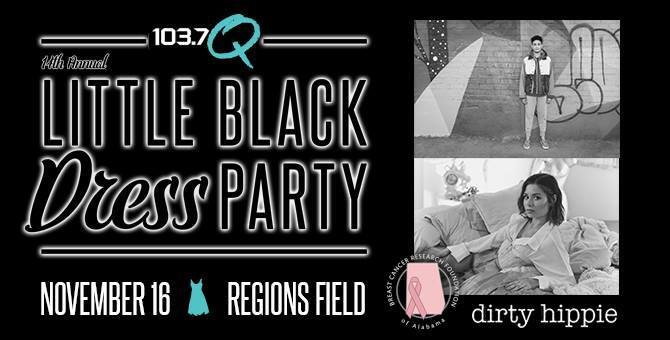 It’s the social event of the season - the 14th Annual Little Black Dress Party is back Friday, Nov. 16 at Regions Field powered by the Dirty Hippie! Performing LIVE: Bryce Vine and Nina Nesbitt, and hosted by The Ace & TJ Show! Doors open at 7pm, event begins at 8pm - this is an 18+ event. Proceeds benefit the Breast Cancer Research Foundation of Alabama. Don’t forget to head to the official after party at Nana Funks beginning at 10pm! 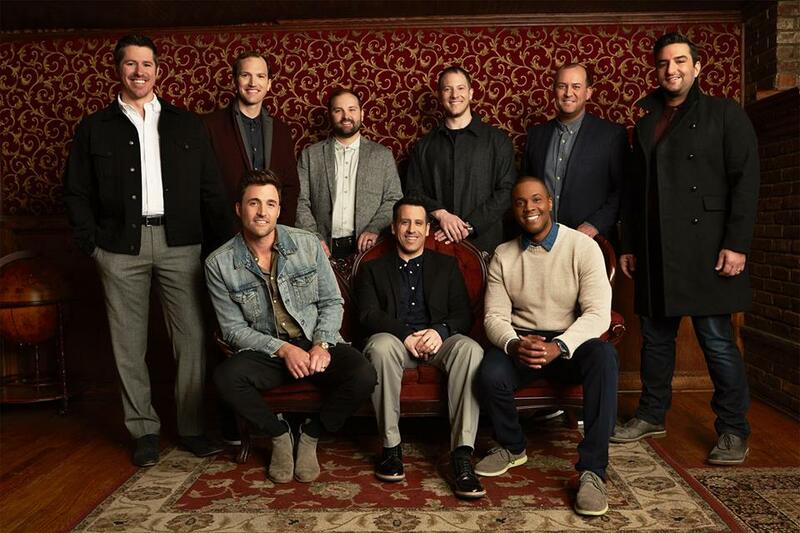 Straight No Chaser set the standard for current pop acapella groups and they are coming to Birmingham’s historic Alabama Theatre! Come hear some of your favorite songs with an acapella twist! These guys are incredible and you don’t want to miss your chance to hear them live and in person! Since it’s November, you can probably count on hearing some holiday favorites! Hands On Birmingham will offer five different volunteer projects taking place throughout the city. Join in and celebrate the importance of family volunteering by giving back to the community! This is a great way to donate a small amount of your time and make a big difference! Interstellar Harvest Festival & BBQ Rib-Off! Interstellar is hosting a FREE Harvest Festival! This fest will feature local artists and vendors as well as live music! While you are there, join us for the first annual Interstellar Rib-Off! Teams will compete to see whose ribs are out of this world. Enjoy live music, local vendors, and the finest ginger beer in the universe. Proceeds from this portion of the event will benefit Wings of Hope Pediatric Foundation. Russell will be one of the judges for the festival. The competition starts at noon with the winner announced at 3:30pm. Come watch as the 2018 #REVBigPitch finalists compete to win a share of $50,000 in cash and professional services prize packages, as they pitch their business models to a panel of judges, potential investors, and a live audience - that's you! If you are new to The Big Pitch, think of it as Birmingham’s “Shark Tank.” This year’s event will be held in one of the latest buildings under development in 5pts South! Go ahead and get your tickets now! Join Freshwater Land Trust for the Fall 2018 Sunday Hike Series! These guided hikes are free and great opportunities to explore new outdoor places in Central Alabama. No registration required. Dogs welcome on leashes. In case of bad weather, they’ll update you on Facebook before noon on the day of the hike. This week they are visiting Wildwood Preserve, their 51-acre property that was just opened to the public this spring. This guided walk will be about 1.5 miles round trip on an uneven nature trail with a moderate incline on the return leg. Please wear comfortable shoes and dress for the weather. Look Who’s Happenin’: Andrew Petrovics & Sydney Unruh of Pointz App!